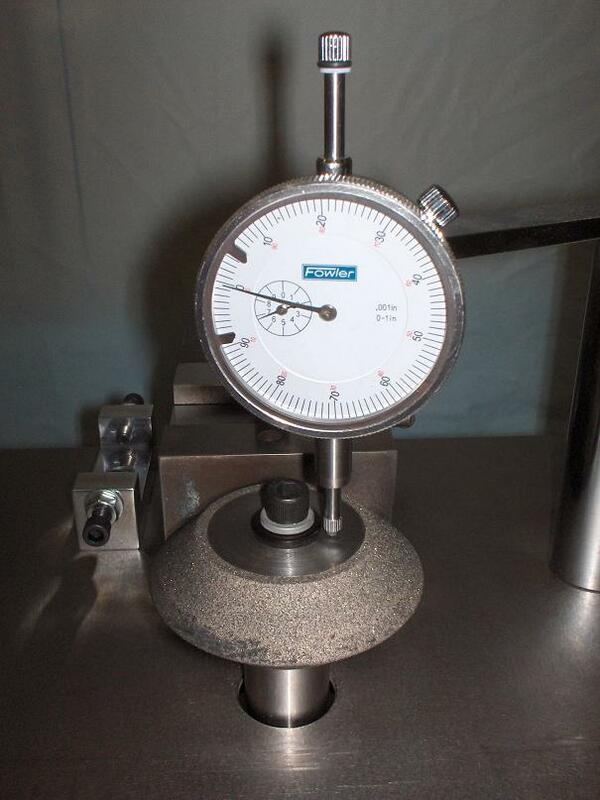 ASTM D256 specimens are used for testing plastic or composite impact specimens; the Impactmill notches those specimens in one pass through the machine. 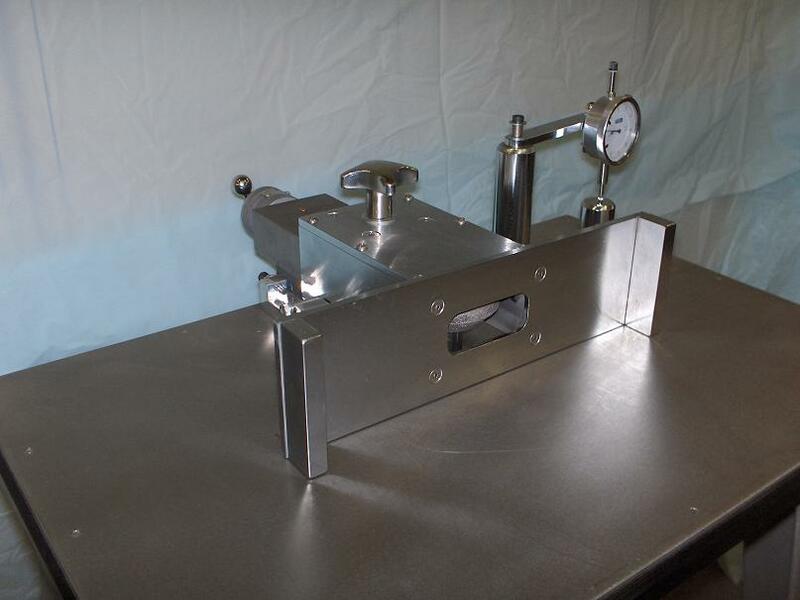 For Iosipescu Shear Test specimens in accordance with ASTM D5379 or ASTM D7078, the V-Mill notches both sides of the specimen quickly, with the notches perfectly aligned. This machine was developed in response to customers in the aerospace industry, who were among the earliest to suffer the difficulties of preparing these notches. Visit our website at the links above for these specific machines, or for a summary of all of our products. For the testing of composites, few samples are harder to make than the shear test specimen, whether for the ASTM D5379 V-Notched Beam Method sample, or the ASTM D7078 V-Notched Rail Method sample. In response to demand for an easier way to notch these blanks, Tensilkut Engineering developed the V-Mill I, which employs a custom diamond coated wheel to accurately complete the notch without tool marks or deformation, while maintaining the tight tolerances, including depths and angles, required for a successful test. This is a video demonstration, which first explains the principles behind the machine, followed by the actual notching of a carbon fiber specimen. The specimen finished during this demonstration, along with two others made from different materials, are shown here. Please visit our website for more information on the V-mill, or fill out the form below for answers to your specific needs (sorry, but we had to remove the form due to a spammer in Slovakia filling it out 20 times per day). New on YouTube: the video demonstration of the Tensilsaw being used to prepare strips of fiber reinforced plastic from 12″ square plaques. The material saws quickly and easily, with minimal operator training. he strips have been prepared, they can be used for flexural testing, or any test requiring a straight strip. Alternatively, and frequently, the Tensilsaw is used to cut blanks for insertion into the template, to be cut using the Tensilkut II or Tensilkut I into tensile bars. A common specimen to be prepared in this manner is ASTM D638, or ASTM D695 tensile bars. 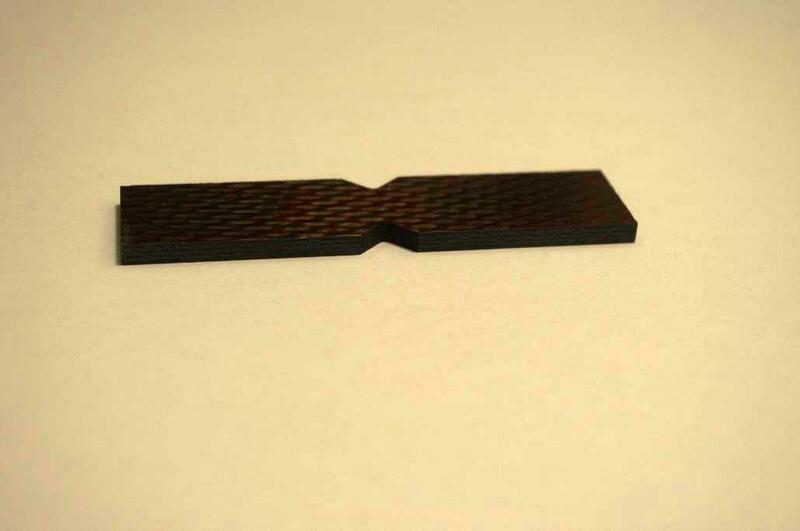 Another use for such strips would be for insertion into the V-Mill template, to be notched for Iosipescu shear testing in accordance with ASTM D7078 or ASTM D5379. One of the biggest challenges in preparation of the V notches for shear testing in accordance with ASTM D5379 or ASTM D7078 is the perfect alignment of the notches on opposite edges of the prepared specimen blank. Tensilkut’s V-Mill is designed specifically to address that issue. The machine is shipped adjusted for correct placement of the notch within the blank. The specimen blank is clamped within a two sided template and not removed until the notches are complete. A series of light passes ensure that the notches are evenly cut, and our specially designed cutter creates the 90 degree notch with a perfect radius at its base. The V-Mill contains a precision height gauge which can be used to check the placement of the cutter; this would most often be done when the cutter is replaced. The height gauge ensures that the placement of the notches is correctly centered along the length of the specimen. Please call, email or visit our website for more information on the V-Mill.